Paul Casbolt and Karl Kinsey of YES Glazing Solutions were declared the winners of the GQA managed Master Fitter Challenge held at the FiT Show in Telford. When the winner was announced by FiT Shows Managing Director Paul Godwin, there were tears of joy from YES Glazing as they walked away with the cash prize of £5000 and the prestigious title of Master Fitter 2014, Both Paul and Karl proved they were the best of the best in the keenly fought event. Gary Robertson was the GQA Assessor assessing Paul and Karl throughout the day and said: “Paul and Karl worked together really well as a team. An excellent level of communication between them ensured they were moving along each task and working to a high standard. Paul managed the pressure of the task really well. The competition allowed installers to highlight their skills and experience throughout each task. I found both Paul and Karl very polite, courteous and approachable not only from a judge’s point of view but also from a customer’s point of view”. 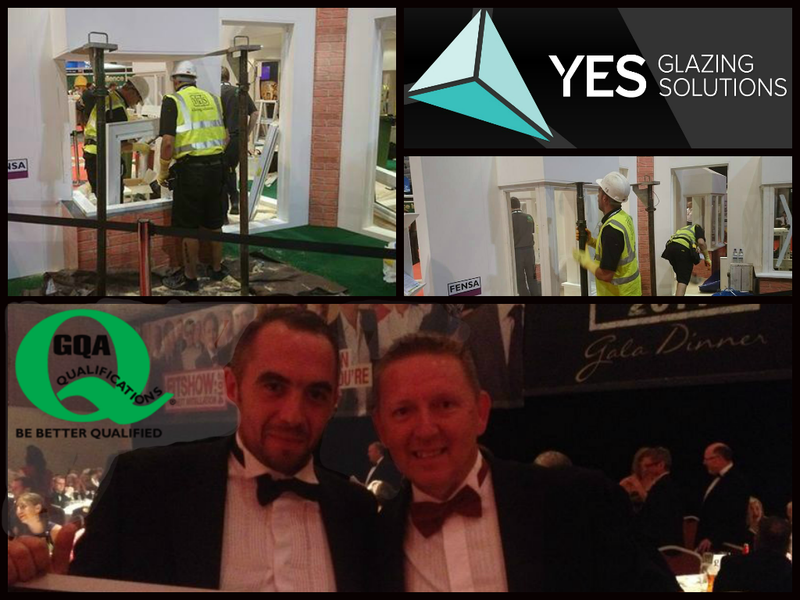 James Howard of YES Glazing Solutions said: “We have enjoyed the whole show and are really very proud of Paul and Karl, we know they are fantastic installers but now they have proved it to the nation and have got the recognition they deserve. A big thanks needs to go to Jo Taylor and the team at IPS for all their support and the inspiration she gives our staff to push on through their qualifications. Our staff receiving this kind of recognition makes all the hard work worthwhile. Everything about the competition was really good and we will definitely be pushing Paul and Karl to defend their title in 2016, in fact we will probably have a stock of fitters wanting to apply now they have taken inspiration from this year’s win”. Speaking to Paul and Karl a week after their winning performance Paul said: “This is the second year of taking part in the competition, but this year I put more into it and the whole competition was very tough and the pressure made me very nervous. I’m so proud of our achievement and being named as the winners was very emotional as I have worked within the industry for 30 years and this sort of recognition is what I have been aiming for and the good thing is, we get to hold the title until 2016, where we will be back to defend our title. I would like to thank YES Glazing for all their support and training and also Jo and Lee of IPS - they are all part of the winning team”. Karl said: “It’s all still a blur and hasn’t really sunk in that we have won. The whole experience was very nerve wracking but very worthwhile. Everyone who took part deserves recognition, as there were some really good fitters. See you in 2016, so we can defend our title”.